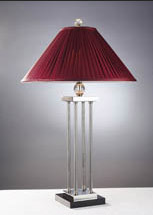 Lummax is a well known brand in lighting industry in Australia. We are the manufacture and importer of our brand. Lummax has wide range of lighting products, from indoor to outdoor; traditional bulb to the latest energy efficient bulb and LED. Lummax always do its best to keep its reputation to the top. Our managing director - Allan King, has more than 15 years of experience in lighting industry. He has passion to push the business to the next level - energy saving solution. There will be more energy efficient lighting in our product range. Lummax is also working together with our partners together to achieve the goal.